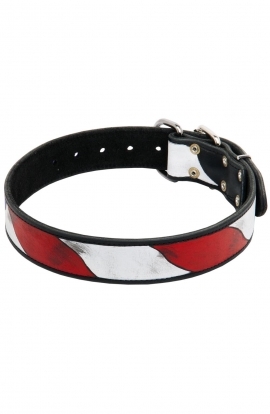 Show off your dog and be proud of him with this excellent accessory on his neck! 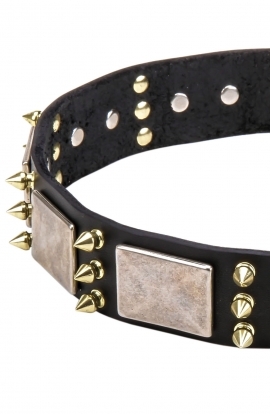 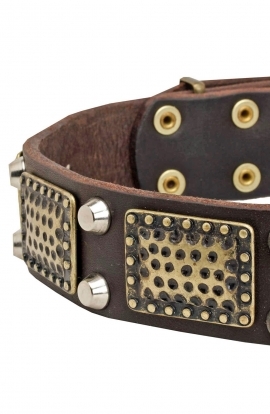 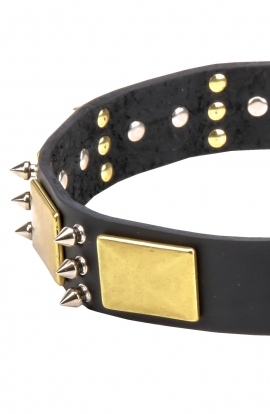 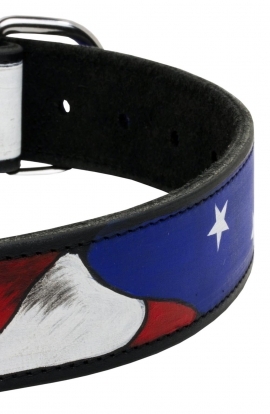 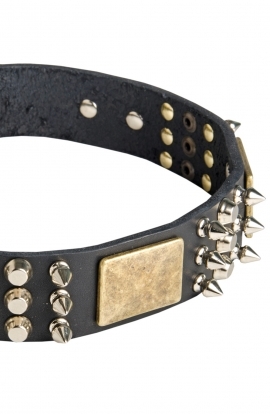 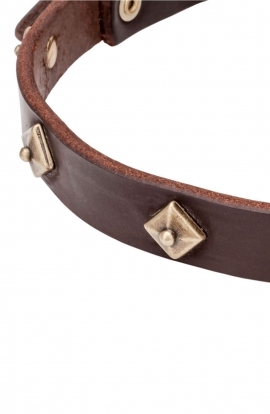 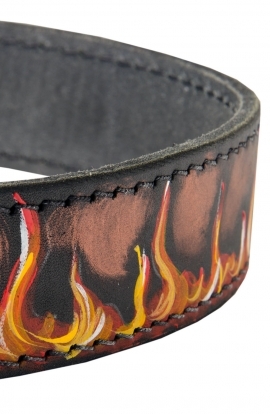 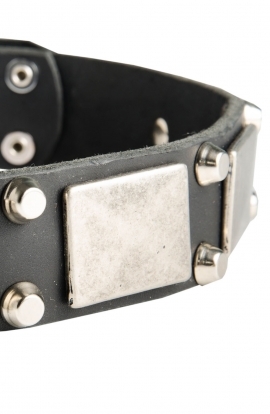 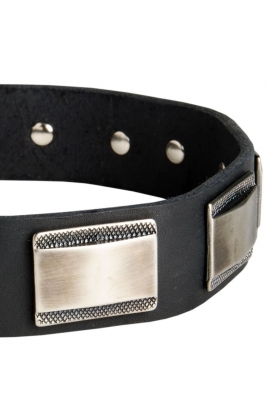 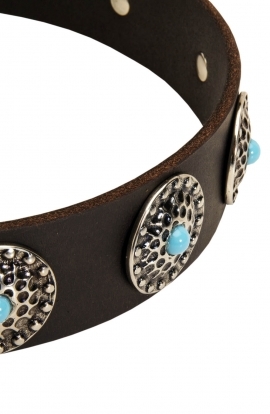 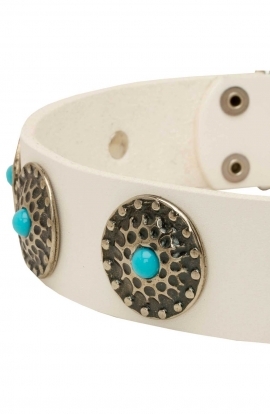 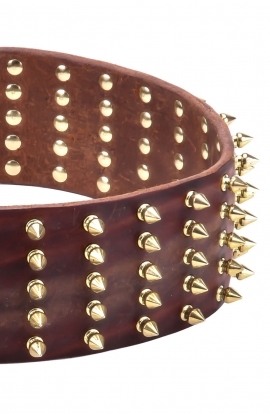 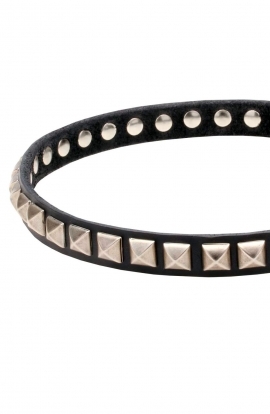 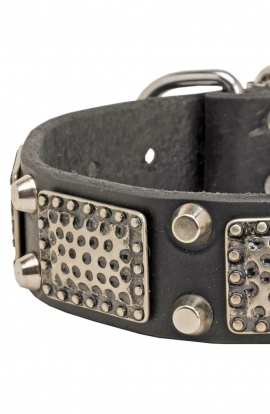 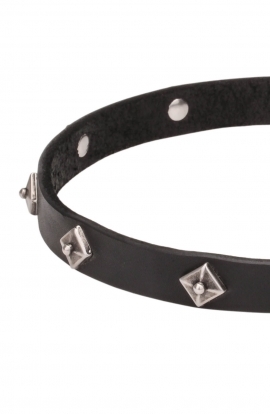 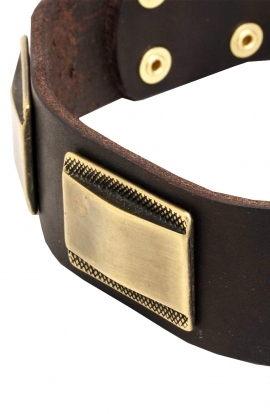 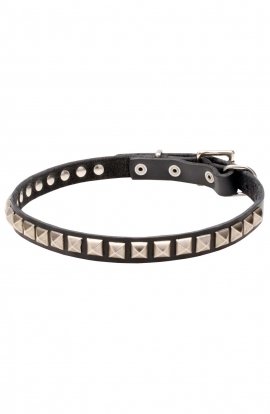 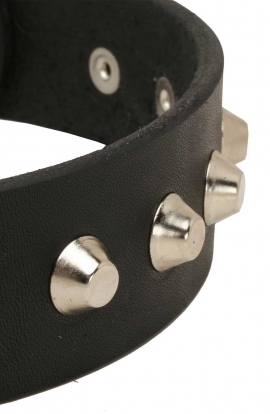 This collar is made to attract attention and to protect at the same time. 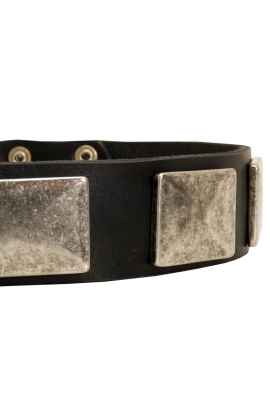 Robust belt buckle won’t let you down even under high tension. 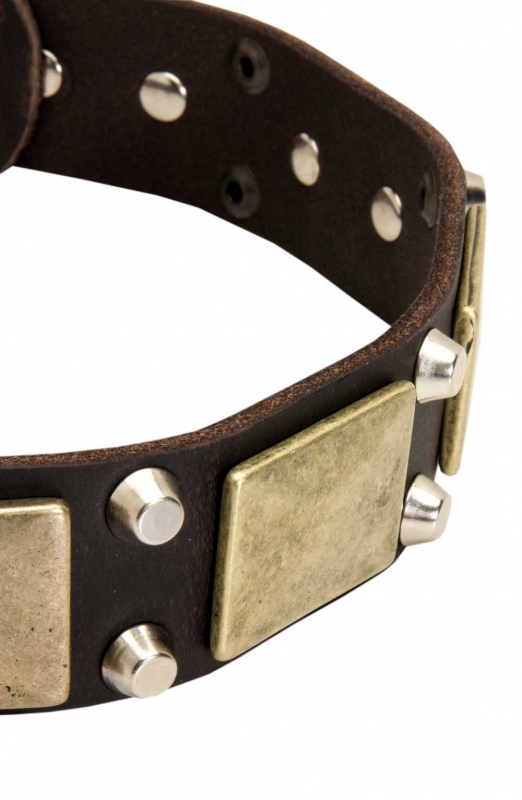 Brass and steel, the hardware is made of, are very strong alloys and their combination looks beautifully as well. 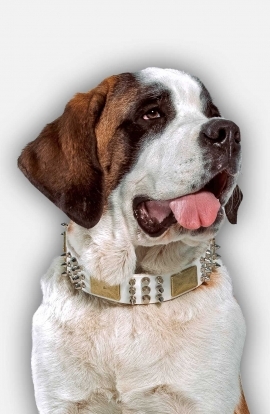 Metals add to the dog’s appearance a bit of brutality and militancy. 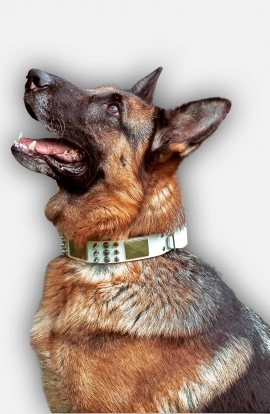 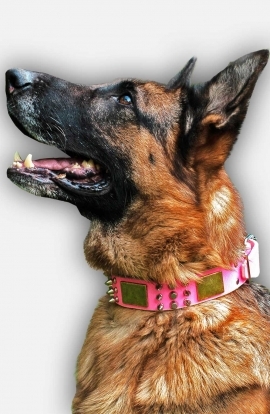 Such a dog collar is perfect for visiting public places and everyday walks. 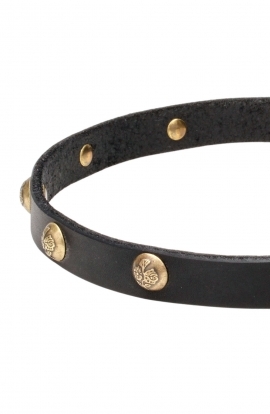 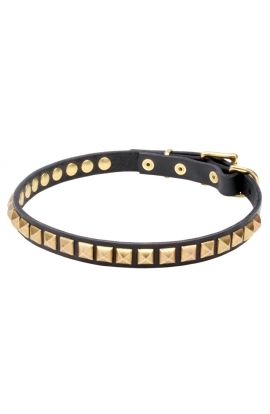 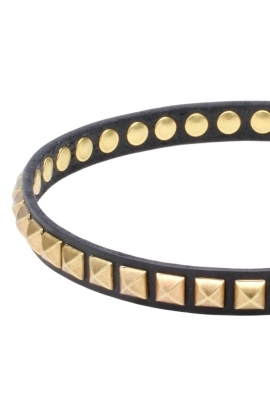 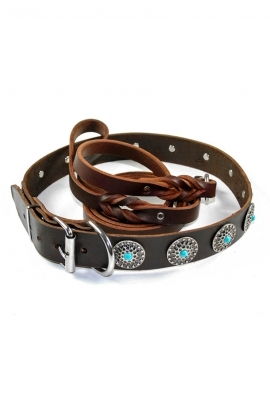 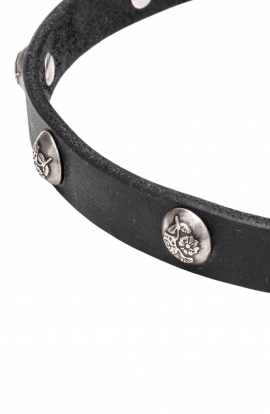 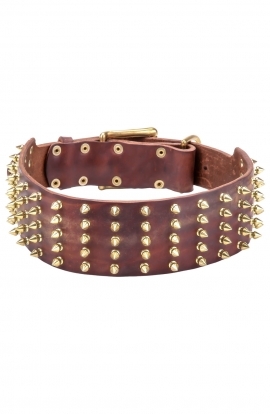 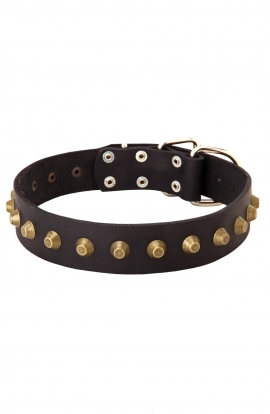 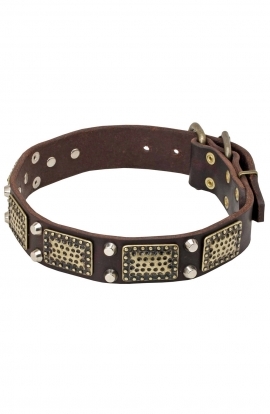 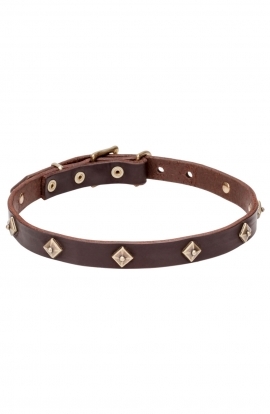 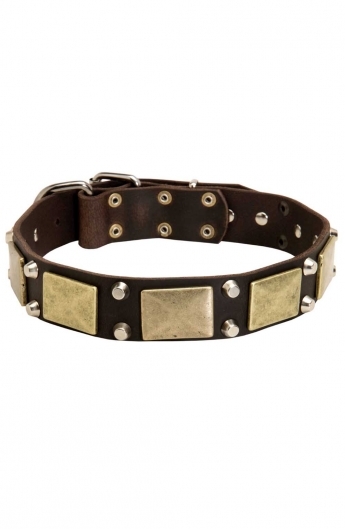 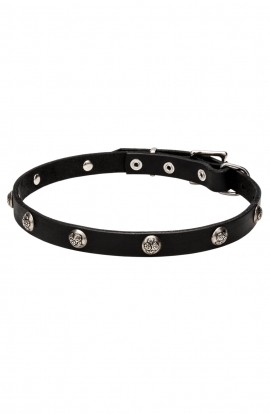 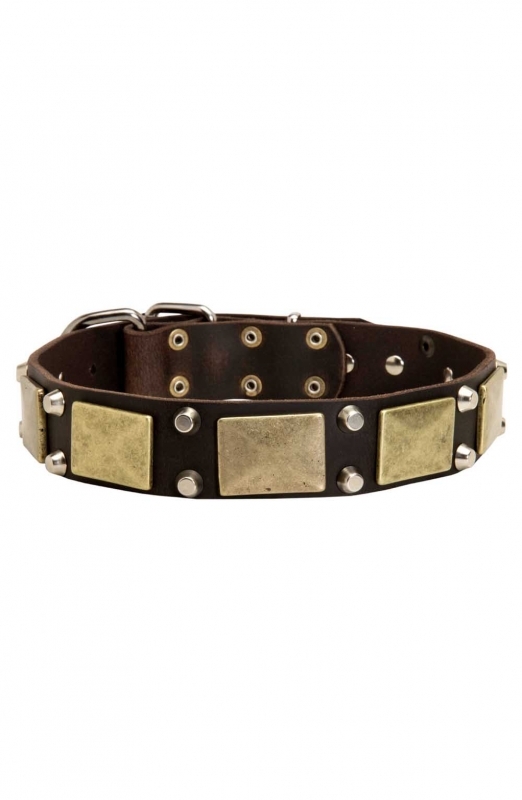 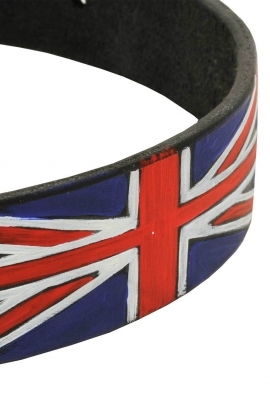 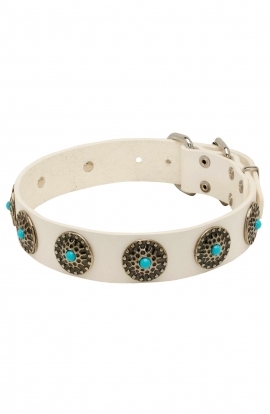 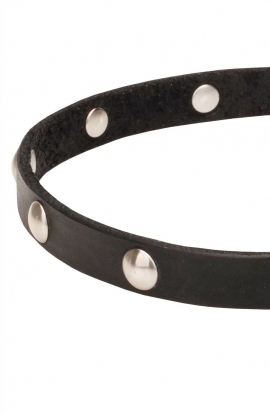 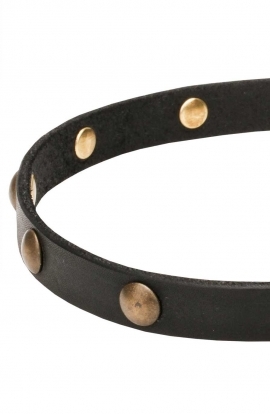 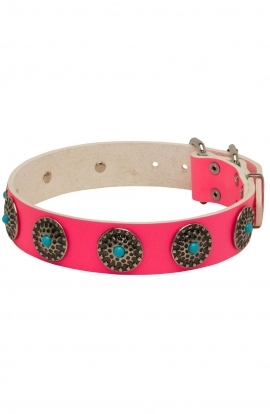 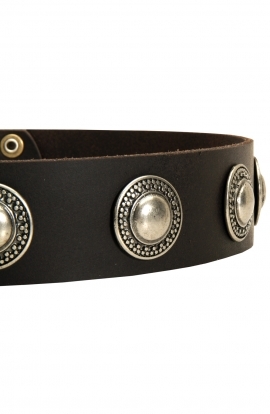 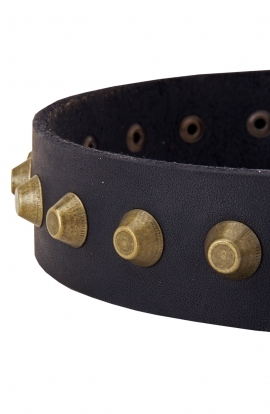 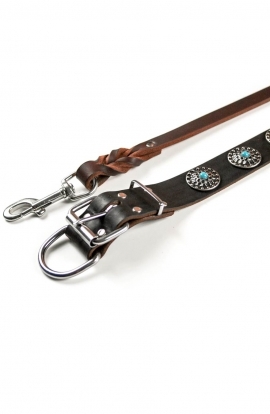 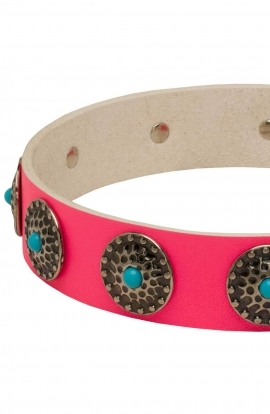 You can even conduct obedience training with your dog dressed in this gorgeous collar. 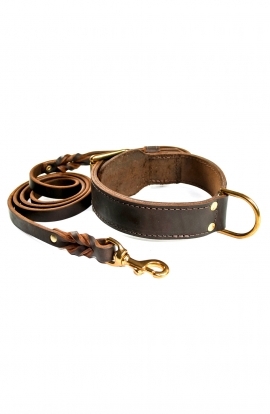 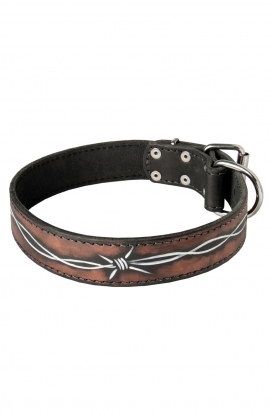 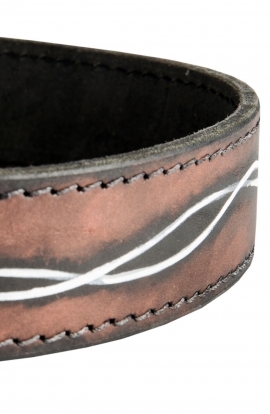 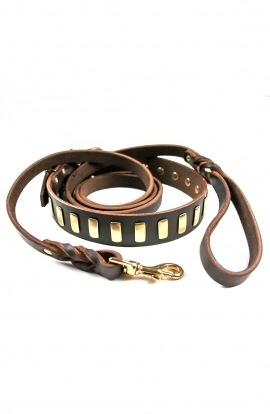 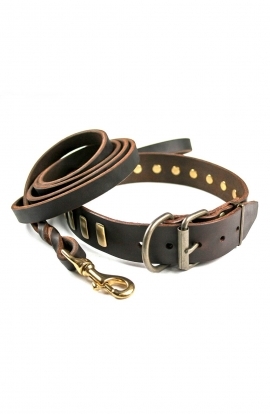 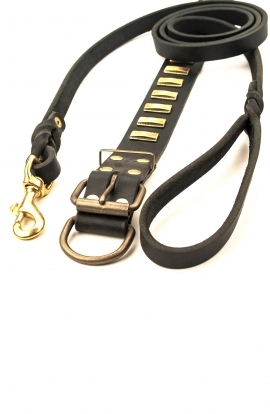 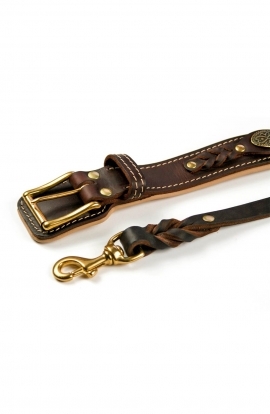 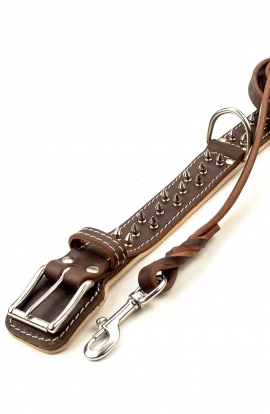 Pay attention that it is available in three colors to match your leash ( black, brown and tan). 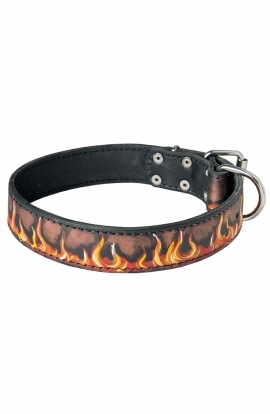 Also you need to choose appropriate size for your pet. 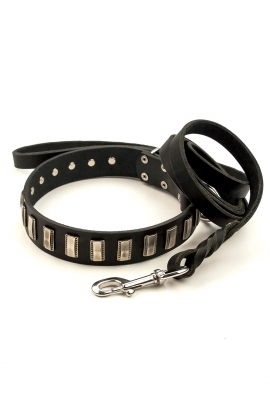 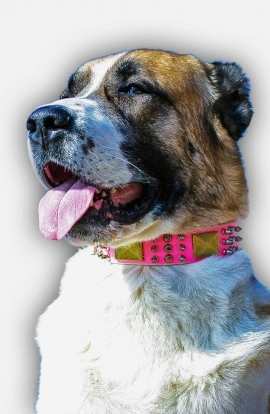 This dog collar is available in range from 14 to 40 inch. 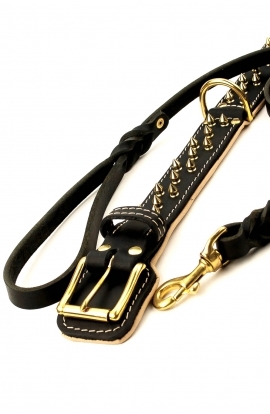 It is also can be regulated 2 inches back and 2 inches forward.